Selecting the External Glazed Doors needs a lot of discussion and factors to consider upon. You need prioritizing your interior designs, security, and privacy. 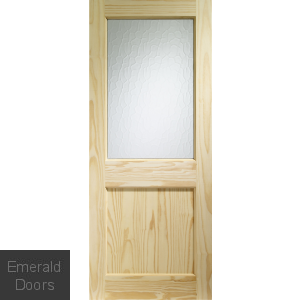 At Emerald Doors, you get a wide range of glazed external doors. These doors are a combination of wood and glass thus giving warmth and natural light at the same time. 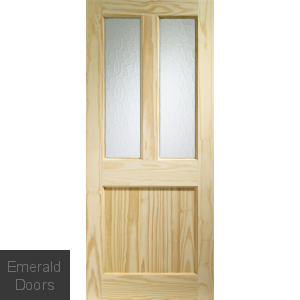 Also, you can select doors from the softwood or hardwood glazed door collections. Glazed External Doors appear incredibly attractive and render a perfect look to your home entrance. 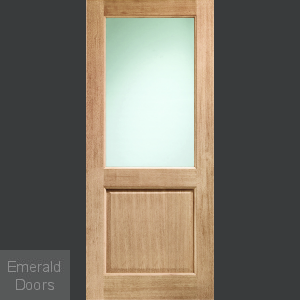 Made up of glass, these doors are perfect for homes that have a combination of sturdy wood with glaze. You do not have to foresee the privacy or security aspects while leveraging the natural light and the appealing look glazed doors bring to your home. 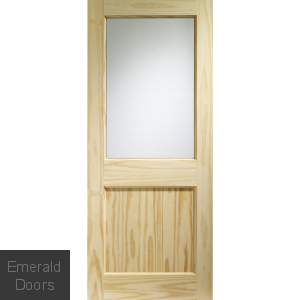 Our External Glazed doors come in high-quality wood materials like the Engineered Pine, Engineered Oak, Hardwood and Engineered Hardwood. One key benefit of the glass front doors is it allows natural light to enter the room giving a bright and warm feeling. Moreover, they can add more value to your property as a showpiece entrance. It can set a different look to your property. When to Select an External Glazed Doors? You get two options when thinking of installing External Doors. One, to have a door without glass in the front and other, to have a glazed door. Again, it all depends on the security and privacy you want to take care of. How to Choose a Secure Type of Glass? If you have decided to install the front doors with glass, then you show know which type of glass can be used. Do not choose the single-pane glazed external door. The glass is fragile, and a single pane works as a poor insulator too. This type of door has a poor energy-efficiency and poor U-rating. Instead, use a low-emissivity glass. It provides security and helps to prevent energy loss. Laminated glass can be a good option when considering security and is unbreakable too. While the toughened glass when damaged can easily shatter into pieces. In terms of natural light flow and privacy, a Frosted glass can be a good option. It gives an artistic look just the way stained glass external doors give. However, it is more secure and stronger as the aesthetic effect is created by etching into a solid pane. If you wish to have a large solid pane of glass in your external door, then consider instilling decorative metal bars. To give more effect, consider adding sidelights. We build and supply all our Pre-glazed external doors as per the British standards for glazing requirements. We have a variety of design options available for glazed doors like the Zinc Caming, Black Caming, Triple glazed, and Brass Caming. 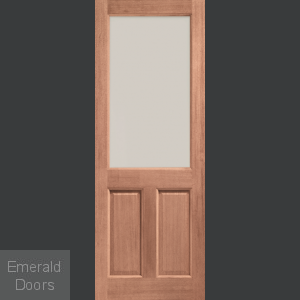 Our pre-finished doors come in a variety of styles, features, and details. To know more about the External Glazed doors, please call the Sales Team on 0845 62 50 755.